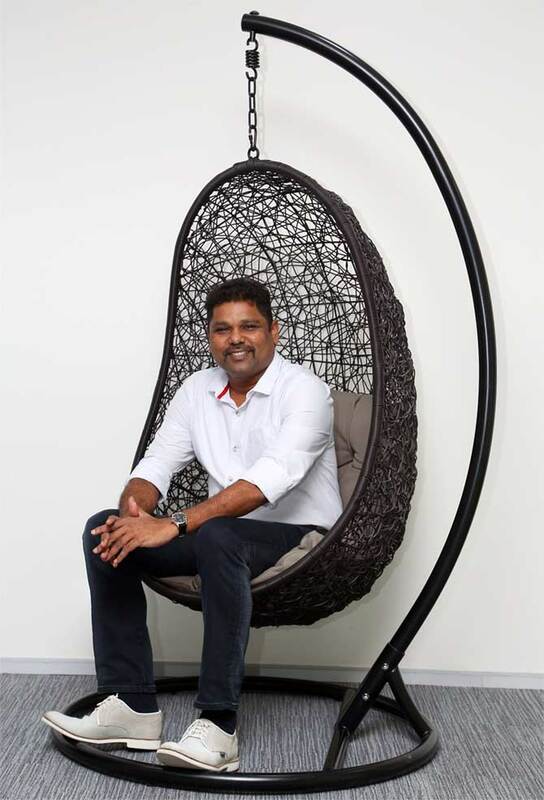 From a humble beginning at his home, Freshdesk, founded in 2010 by Girish Mathrubootham, has come a long way. It now has a 120,000 sq ft swanky office on the IT highway in Chennai. When Shobha Warrier/Rediff.com first met Mathrubootham in 2012, it was a start-up that was doing well but today, it is the fastest growing Software as a Service (SaaS) based companies in the world. 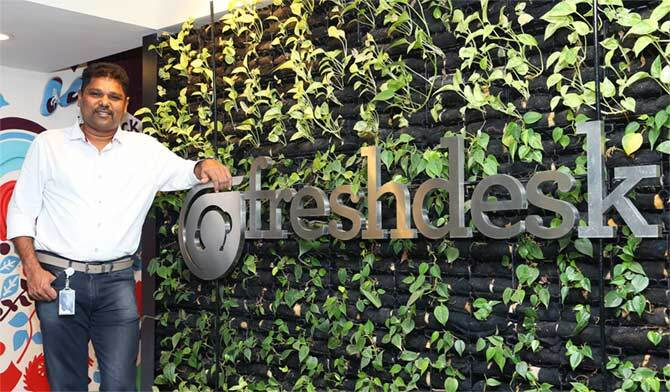 Six-year-old Freshdesk has acquired five start-ups in quick succession in 12 months. It acquired live video chat provider 1CLICK.io in August 2015, social recommendation app Frilp in October 2015, messaging app Konotor in December 2015, Framebench in February 2016 and the Airwoot, a startup that helps deliver customer service on social media in April 2016. 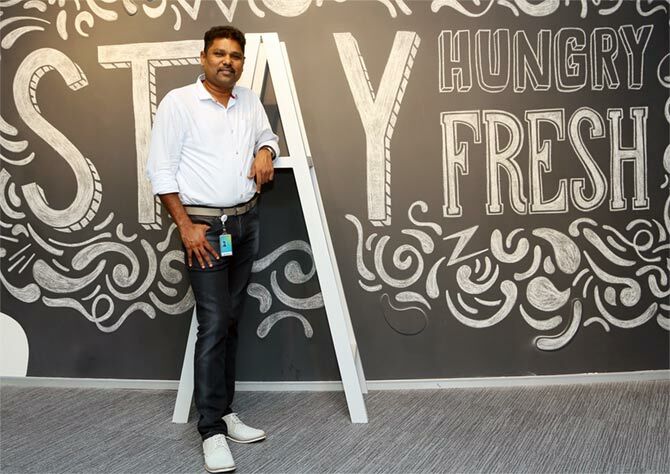 Girish Mathrubhutham discusses Freshdesk's success with Shobha Warrier. When I met you in 2012, your company was 2 years old. 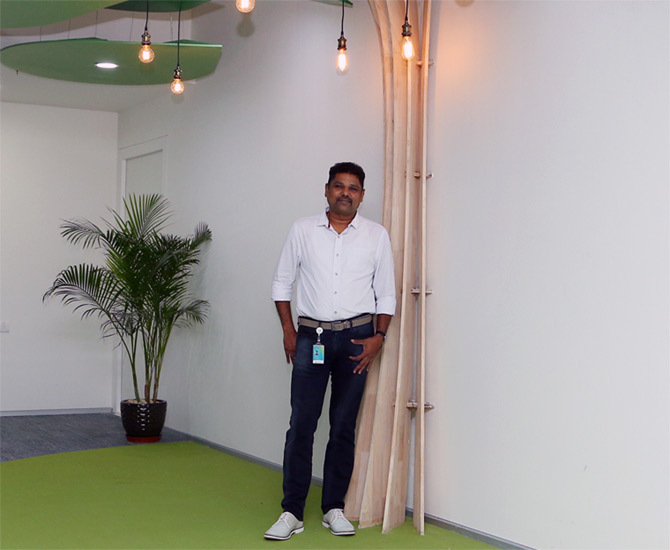 Today, Freshdesk is the fastest growing company in the SaaS space in the world and a billion dollar company. How did you achieve this stupendous growth? We have almost reached a billion! It was in October 2010 that I co-founded Freshdesk Technologies with my friend Shan Krishnaswamy. We started with Rs 60 lakh (Rs 6 million) with just the two of us in a small space at home. 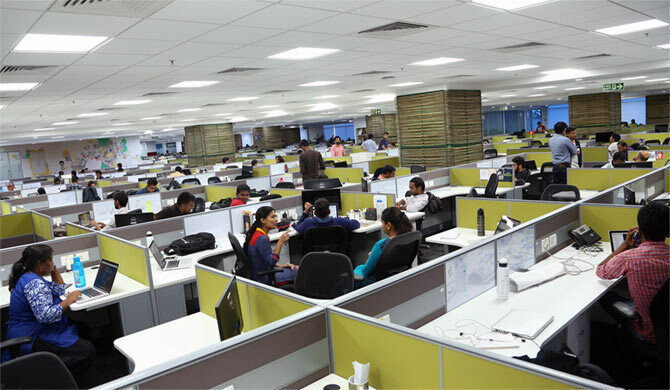 Today, we have a huge office with more than 600 employees. In 2012, when you came to meet us, we were not even a one million dollar company. It was only in 2013, we became a 1 million dollar company. Nobody expected us to grow like this. To be frank, we also did not expect this kind of a growth. When you are catering to the global market, huge opportunities await you. We had a great product for the global market and we could sell it globally, resulting in this amazing growth. In those days, your plan was to target small and medium companies. Have you started looking at bigger companies? When we started, we saw many small and medium companies moving to cloud computing and we chose to target them as they need not invest in infrastructure, but could use our cloud-based system. Even today, our target customers are small and medium companies only. But some big companies are keen on buying our product. Also, when you are selling your product initially from an Indian company, it is better to target small and medium companies. When you started out, did you face any prejudice because you were an Indian company? We didn't face any prejudice, luckily. When customers come online and buy a product, they don't check whether it is created in India or somewhere else. Since we have also incorporated in the US, from the customer's perspective, we are a global company. In 2010, Accel Partners invested $1 million in Freshdesk, then Tiger Global Management invested another $4 million. Today, they are investing a lot more in Freshdesk. When you raise so much capital, where do you invest? They have invested up to $94 million. Apart from that, Google Capital also has invested in our company. Most of the money we raise is kept in the bank saving it for the rainy day. Since we are generating revenue, we have not burnt a lot of cash. Of course, we have invested in people, product development and global marketing as well. In 2014-2015, there was a big frenzy to invest in Indian start-ups, which turned out to be beneficial for us. Do you see a slowdown in the global market in the next couple of years? I cannot talk about the global market, but I know that funding always goes through a cycle. In 1999-2000, there was a huge slowdown after the dotcom bust. In 2008, again funding stopped after the market crash. When such things happen, funds become hard to come by for start-ups. Once the economy recovers, funding becomes active. That's why in 2014-15, it was very bullish. Now, it has slowly started becoming scarce. Late stage funding is very difficult now. That is why I said funding always goes through such cycles. What I meant by a rainy day is, suppose a company needs money now, funding is not easily available. So it will be a tough situation for any start up that doesn't have any money in the bank. So it's better to ride such cycles with a cash reserve. Compared to what you faced in 2010, with initiatives like Start up India, do you feel the ecosystem is much more favourable to start ups? In 2010, there was no ecosystem in Chennai. Today, it is much more mature. In 2010, VCs never used to come to Chennai. Even if they set up appointments, they used to cancel at the last minute, saying there were not many start ups in Chennai. Today, they are looking for interesting companies in Chennai too. Was it tough for you to get the first initial investment? The first $1 million was the hardest. But we have been fortunate as we were at the right place at the right time. Accel Partners liked what we were doing and gave us the first round of investment. You have invested a lot in office space. The design of your office space is much talked about. Is it that important? From the money point of view, we didn't invest a lot in designing our office, but we were more creative in giving the office a different look. 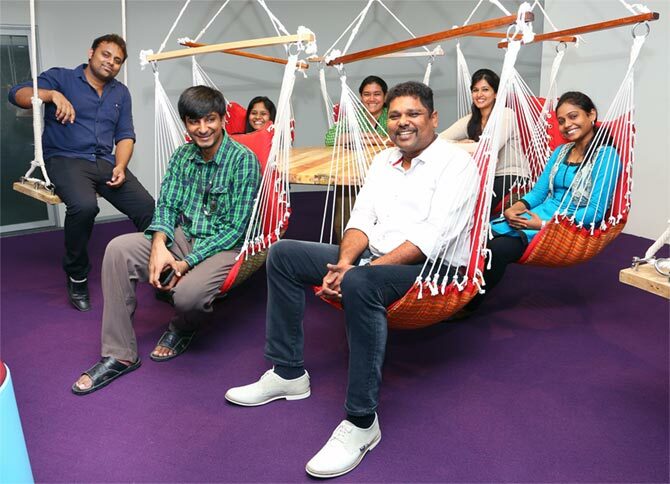 We prefer this way rather than making cubicles as we want Freshdesk to be a happy work environment. First, the work they do should make employees happy. Next, when they walk in, the fresh, vibrant colours should make them feel good as well. Just like all the family members are involved in the design of your house, many employees are also involved in the design of the office space. From day one, our office space looked different from the usual offices. At that time, we didn't have the finances to design it so well except colouring the walls yellow. We have been trying creatively to design our office within the constraints of our budget. Your company is only 6 years old, but you have acquired five start ups in the last 12 months. These are opportunities that come to us. Sometimes good companies and teams with good ideas are unable to grow by themselves as they run out of money. When we take over, we look at whether we are acquiring the product, technology, people or the business. If you take 1click or Konotor we acquired, they were for both the product and people. It may take some time for us to build a product like that, which can add value to our product. In the case of 1Click, we wanted to acquire it for the kind of customer support they provide through video streaming etc. It is a good opportunity for us to get a good product with value and talented people through these acquisitions. When so many teams come to our fold, we have to make sure that they integrate. You are the fastest growing SaaS based company in the world. Did you ever expect Freshdesk to grow like this? No, I didn't expect this kind of growth. We have 70,000 customers and three products now: Freshdesk, Fresh service and Hotline. We have been growing at a fast pace and I don't think anybody can say it is easy to tackle this kind of growth. It's like playing cricket. We are like the batsman who goes to face new deliveries bowled at him everyday, from yorkers to bouncers and googlies. Like the batsman, we also tackle growth and the challenges that come with it. The challenges are in the form of good and bad problems. Luckily, almost all the problems we faced were good problems, which helped us grow. When you are growing fast, the wheel is also spinning fast and customers ask for a lot more new features, which is a good problem. Tackling good problems always help us grow faster. Is your growth like driving a Formula 1 car? I haven't driven a Formula 1 car. But yes, we have been driving so fast that sometimes we gasp for breath. I sometimes feel it's a good idea to pause for say six weeks and celebrate what we have done so far and then resume the run again. It has been a phenomenal journey. 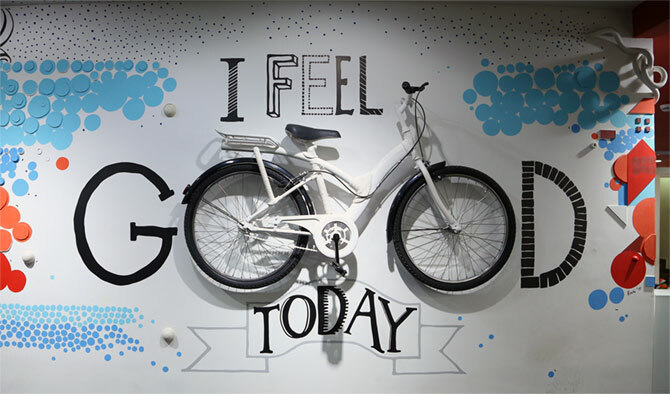 I look at our company as a living organism, which is showing different characteristics with each passing month and it is amazing to observe Freshdesk from that perspective. Freshdesk is only 6 years old. Have you become a 25 year old in 6 years because of your fast growth? Freshdesk is like a 6-year-old child who grew so fast to be an active, beautiful, smart and strong child.